Frontier Precision UAS/Imaging Services offer our customers the ability to utilize the industry’s most cutting edge technology without committing long term capital to technology that may not have a long term fit in your business. Our expert technical team can help our customer partners on your next job where you may have a need for mobile/static scanning or UAS services but lack the expertise or equipment to fulfill the requirement of the job. This service allows you a “test drive” of the latest technology without the expense of owning it until you are ready! 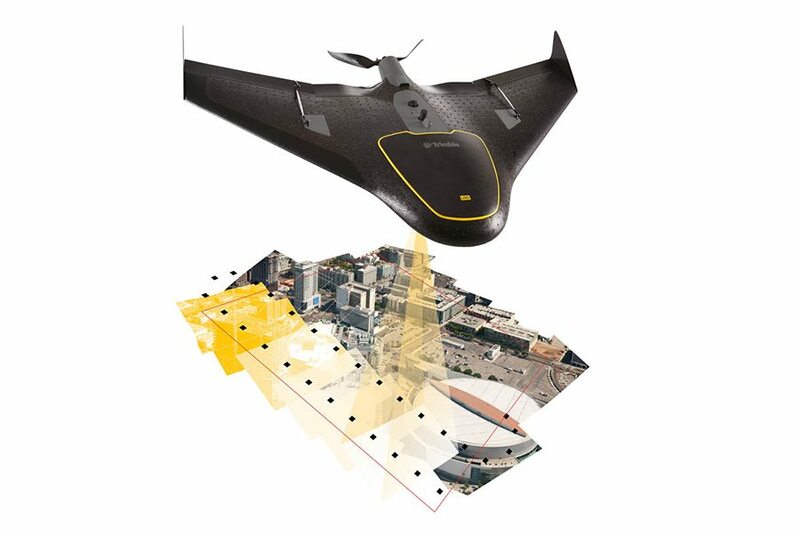 Frontier Precision offers data-driven professional services for aerial surveying and photogrammetry applications using unmanned aircraft systems (UAS). The company primarily operates DelAir-Tech’s UX5, UX5 HP, Microdrones’ md4-1000, and DJI’s Phantom 4 Pro unmanned aircraft systems and are expanding its operation to include additional drones, sensors, and platforms to accommodate its customers’ data needs. Whether you are interested in operating drones yourself, or sub-contracting a service provider to collect data for a project, Frontier can help you incorporate this new and exciting technology into your work flow and collect high-precision aerial data. Frontier has certified pilots on staff and has been granted a Section 333 exemption by the FAA to legally fly small UAS for mapping and data collection. The company also has staff with Remote Pilot Certificates to operate under Part 107. Frontier is licensed and insured to operate UAS commercially.